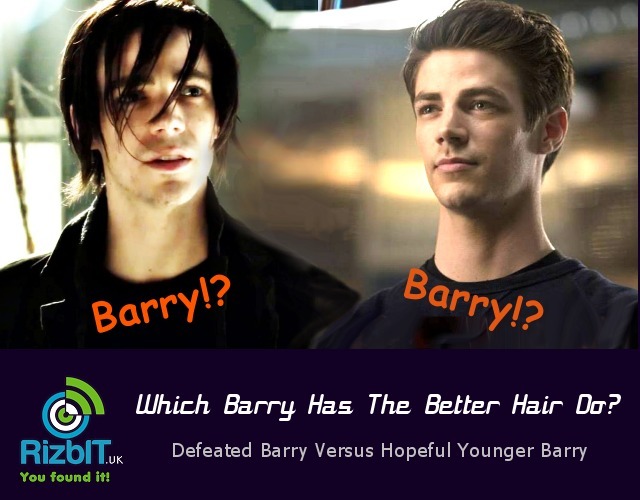 Check out Barrys new hair do and vote below on which you think is better! The Flash season 3 episode 19 is called “The Once and Future Flash” and is quite a turning point in the season. We see how the future ends up after Iris West dies and we also see the end of The Flash and Team Flash. But once young Flash travels from the past to the future he is shocked to see how he ends up. You cant really assume or know how you will cope with such a tradgedy and it seems he gave up all hope and the key to breaking him was the death of Iris West. So Savitar played the killer chess move in defeating his foe. Young Flash however is still ever hopeful and ready to go and ends up saving Team Flash. Bringing them back together to stop Mirror Master and The Top once again. So the trip to the future is not all a complete waste. Because Barry had hoped to learn who Savitar was so he can stop him. But he does find out that future Flash did manage to trap Savitar in the Speed force using a trap and he gives this to young Barry. 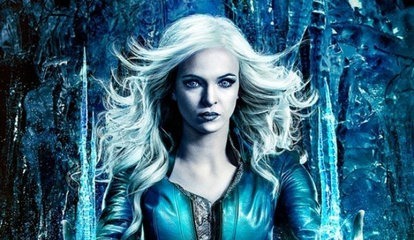 What do we learn about Cisco is that he needs his hands without which he has no powers…Killer Frost allies with Savitar and Kid Flash is no more, paralysed and in no state to do much. We know the big reveal is coming now as with season 2 and Zoom, will we be as shocked. At the end we see that there is indeed a human inside the heavy armoured suit of Savitar and Killer Frost gets a glimpse of him. To be honest i am not too sure how young barry can interact with future Barry without having drastic consequences. In an old movie (Timecop I think…) with Jean Claude Van Damme the villain was killed by pushing a younger version into the future version. So the same villain from different times were pushed together and it killed them both..ceasing to exist the reason given was that the same matter cant occupy the same space at the same time. Also in Legends of Tommorow we saw how careful the Legends were when they time travel that they dont let themselves be seen and do not interact with versions of themselves from different times. So looks like Barry is messing with the timeline again….Actually in trying to save Iris is he not doing the same thing/mistake he made in previous season, where he saved his mother who died…in doing so creating Flashpoint? 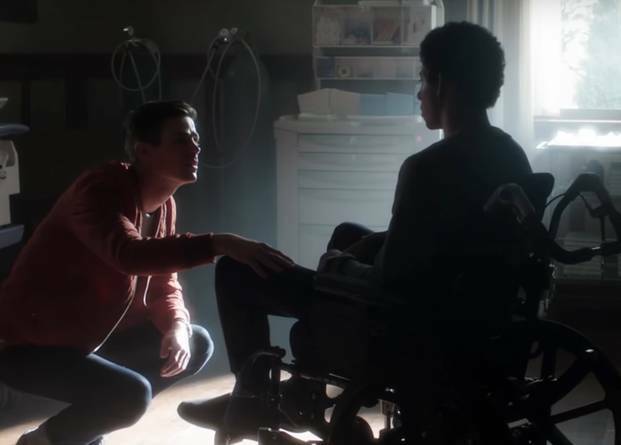 Will saving Iris West not create another Flashpoint? 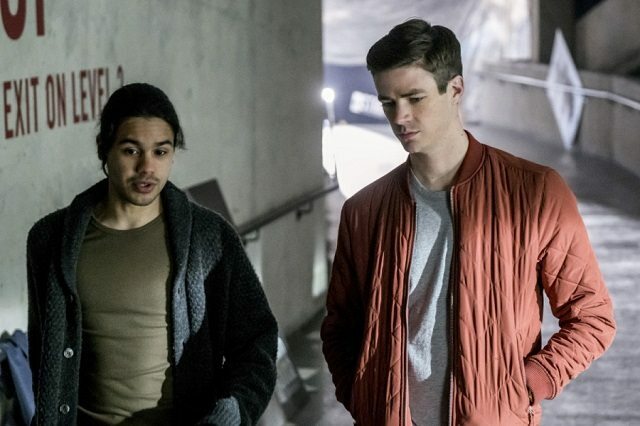 One of the most striking things about this episode was seeing future Flash all down and gloomy, sporting a new hair do. Have a look which do you thnk is better?